Welcome to the book purchase page! Please note that both books come in e-book format, including Kindle and Nook-book. Language translator at bottom in the footer. Live the magic of the Dragon's Treasure. Live the mystery of your dreams. Down in the cave of the human mind where reality stops being reality lays the world of the dream. It is here that the mind's inner eye perceives a fantasy much richer in form and function than the theater of the waking world. In order to enter this world one needs to suffer a kind of death, for here is a place where the body cannot go. It is just this kind of other world that Robert enters and discovers that it is not by accident that he has ventured there—on the other side of the veil. Subconsciously he has been guided toward an adventure that is only taken by those whose souls have left their temporary homes to seek healings before their return. In this world, a world that weaves itself into the life of the waking dream, he discovers a cause greater than he ever imagined that would lead him toward nothing less than the healing of the very world he called home. Together with a wizard guide, a tree warrior, an ancient Healer of souls, and an assorted troop of female Aelfs he takes on the most difficult and important mission of his life, with his chances of ever returning to his home and family becoming smaller the longer it takes. 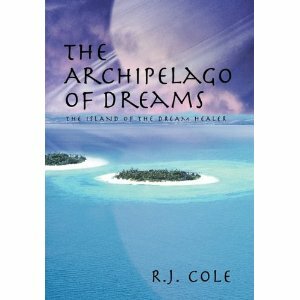 The Archipelago of Dreams is an epic tale no less fantastic than the hero's journey of Jason and his quest for the Golden Fleece and no less important than the saving of the world. What if I told you that for just $22 you could buy something that had the power to transform your life? "Not a bad deal!" You might say, and you'd be right! Walk with the author along a lifetime of twisting paths that weave a story through myth, poetry, thought experiments, personal reflection and dreams to bring to light the underworld of the unconscious mind. In this book the author describes the magic that is one's life. •If you belong to a book club and would like me to speak either about the process of writing and publishing and/or about the books themselves, I would be happy to do so. Any books that I sell onsite will receive a 30% discount from the publishers price. I would be happy to sign the first 30 copies. •If you would like me to attend a charity event where funds are being raised I would attend and will donate 20% of my profits from all onsite sales. I will also sign the first 50 copies sold at the event. All copies sold at the event will be offered at a 20% discount from the publishers price.  •Please contact me through this website. I will need to know the date,time, and location of the event. I will also need the number of projected participants—this is most important because with regard to the number of participants, there is a scale factor involved, though this is negotiable. Attach your e-mail address and phone number. •I will need at least two weeks notice before any event. Unfortunately these offers are currently limited to the greater San Francisco Bay Area.